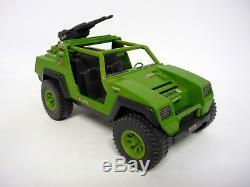 ITEM: GI JOE VAMP JEEP. 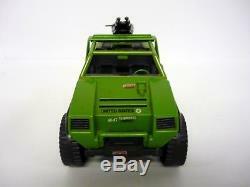 1982 Vintage Action Figure Vehicle Variant. HASBRO MADE 2 SIZED VAMP BOXES, THIS IS THE HARDER TO FIND LARGER ONE /. 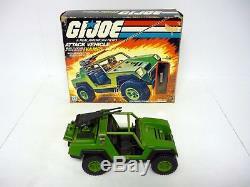 COMPLETE w/ORIGINAL BOX & FILE CARD (NO FIGURE OR BLUEPRINTS). Have a collection to sell? Message us for a quote! 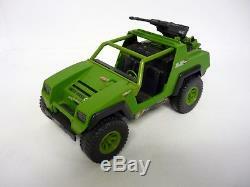 All our items have original parts and accessories unless otherwise noted. 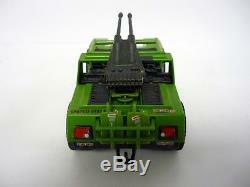 Our pictures will be of the actual item you are purchasing with the exception of quantity style listings. Please review all photos in the listing prior to purchasing. Let us know if you need further assistance, we are always here to help! If there are any problems with your order , please message us prior to leaving feedback & we will do our best to resolve the matter as quickly as possible and to your satisfaction. Thanks for visiting and come back anytime! 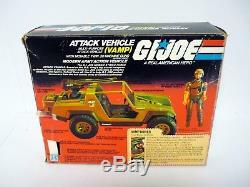 The item "GI JOE VAMP JEEP Vintage Action Figure Vehicle Variant COMPLETE withBOX 1982" is in sale since Thursday, August 16, 2018.